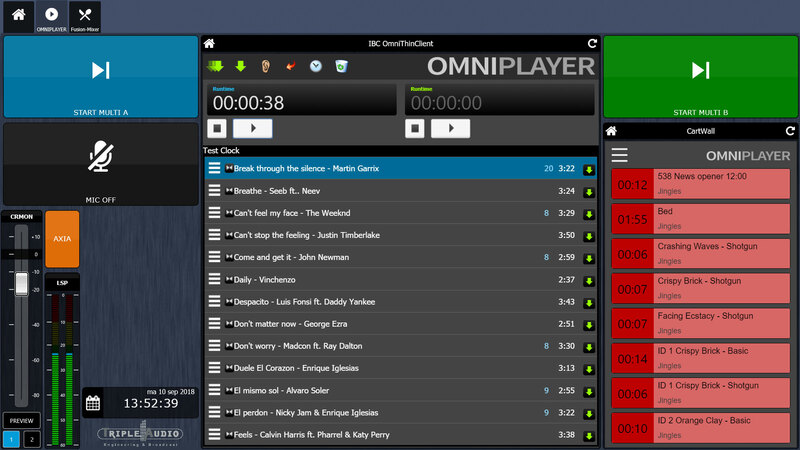 As of spring 2019, OmniPlayer Radio Automation System will be available in the form of distributed services and client-server technology, which will enable use from any location, via any device. The introduction of Virtual Radio, which connect through a sophisticated Webservice / RESTful API, mean OmniPlayer will no longer be restricted to run on broadcaster’s servers, but can be operated from anywhere. Common broadcast operations like audio playout, GPIO and the handling of playlists will be decentralised out of the user’s studio, running from dedicated local servers or in the cloud instead. The configuration of a “studio” and its OnAir resources such as MultiPlayers, SinglePlayers, CartPlayers, physical or virtual audio outputs and GPIOs will be stored in our central database. The central servers or cloud services can be controlled remotely from any location, just by using an OmniPlayer Virtual Radio running in any type of browser. What’s more, OnAir client graphical representations will be displayable on any device and even on multiple devices, each of them with their own layout, as preferred.